Vigorous, spreading shrub of arching habit. Dark green leaves. 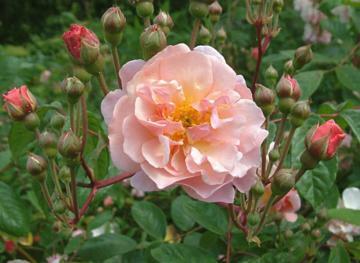 Large clusters of numerous, double, pink flowers, copper tinted at the centres, opening from reddish buds produced from summer to autumn.